From performance features like a titanically powerful engine and impressive levels of fuel efficiency, to its selection of embedded safety features and devices, which help ensure a secure ride, the 2016 Nissan Rogue gives drivers from Indiana a wealth of top-notch specs to look forward to. 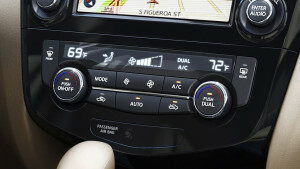 But here’s another thing: the Rogue is also an unbelievably smart vehicle, coming equipped with technology features like Nissan Connect, Bose Audio, Bluetooth, Automatic Temperature Control, and an Around View Monitor. NissanConnect supplies drivers with a collection of digital alert systems, remote features, entertainment devices, and finally a powerful navigation system, enabling you to locate a destination, generate a map to get you there, and even identify places to stop for gas along the way. Bose Audio gives you either 4 speakers (in its base-line trim), 6 speakers (in its mid-level trim), and 9 speakers (in its upper-level trim), even while it also gives you two subwoofers, thereby promising top-quality music and impressive volume to keep you and your passengers ride as amped up as possible. Along with its set of USB ports, the Rogue gives you Bluetooth technology, allowing you to plug your smartphone directly into the vehicle and enabling you to stream internet audio directly to its console. Whether it’s a cold winter day or a hot summer evening, the Rogue will adjust the temperature to keep you comfortable no matter the weather outside. Finally, with Around View Monitor, the Rogue gives you a complete picture of your surroundings, allowing you to make intelligent choices and avoid any incipient problems before they materialize. If you’re based in Indiana, you are free to stop by our Sorg Nissan dealership anytime to hop in the Rogue and take it out for a test drive. Located at 2845 Detroit Street in Warsaw, we can also be reached online or by phone at 574-267-5850. 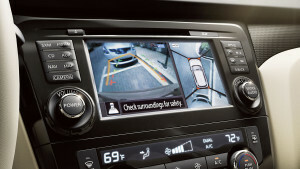 We urge you to experience smart automotive technology in the 2016 Nissan Rogue today!